OK, that’s a little harsh, but I tend to not view myself in the same light as I would view someone I admire. I also have a very hard time accepting compliments, not because they make me uncomfortable, but because I tend to not believe them. They’re given to me just to be nice, right? No one can really think of me in that light, whether it’s in terms of looks, my writing, my spirit, or anything positive about me? I have bouts where I drink the kool-aid and kind of see what others are viewing, but those times are fleeting. I’ve finally decided that I need to fall in love with myself again and be happy about being me, like I was when I was a child. It’s time to give me a chance. I feel for my poor husband who always does a wonderful job of making me feel loved, even when I don’t love myself. He’s doted on me since we’ve met and has worked diligently to help me see the beauty in myself. But, admittedly, it’s still very difficult to see what he sees. I owe it to him to try better. To work on my self-image. I also owe it to my daughter. She’s only 2 now, but before I know it, she’ll be old enough to deal with her own self-image. What kind of role model would I be for her if I can’t see myself in a positive light? Being told you’re beautiful is one thing, but believing in those statements is another. I want to be able to explain that to her and not feel like a complete liar when I do so. First and foremost, I owe it to myself. No amount of praise from others, model shoots, or pretty hair and dresses can convince me of something that I have to change in my mind. I know that I have to do something, and soon. From what I’ve been told, I’m worth the effort. So this is my challenge: during the year of 2013, I will document myself. One picture a day of me. Joyful. Melancholy. Exhausted. Real. I’m determined to see myself as I am and find the greatness within that. I want to love my flaws, whether it’s my bulbous lips, the one eye that’s smaller than the other, or the face full of pimples I have to showcase for the day. I have no problem seeing the good in others, but I MUST learn to see the good in me, on the outside as well as in. Each day I’ll post a picture of me on my Instagram account. It may be sweet, it may be ugly, but it’ll be me. I did the whole month of January as an experiment, and I plan to stick with it. 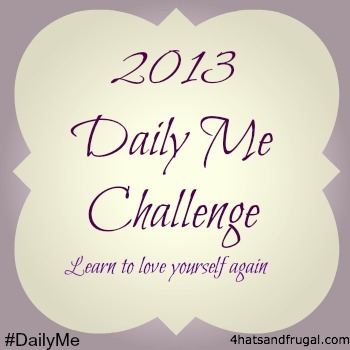 I’ll also use the hashtag #DailyMe in order to keep track of my efforts. This may not seem like much to others but this is big for me. 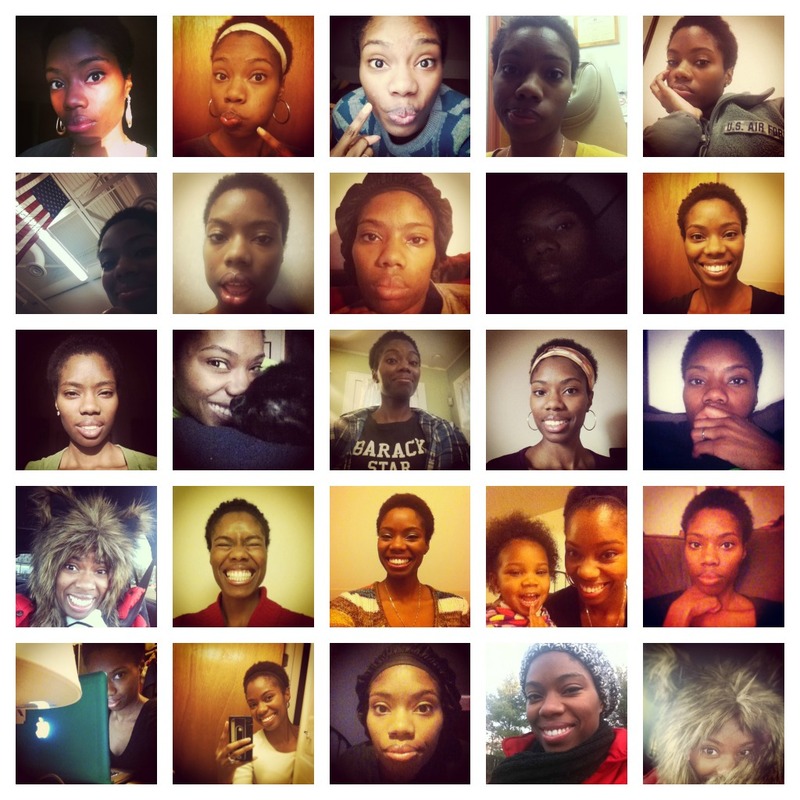 2013 should be the year of celebration, and what better person to celebrate than yourself? My challenge for you: I know there are plenty of women out there that may feel the same way I do. You don’t think well of yourself, or you do everything for everyone else, but not enough for you. Give yourself a chance. 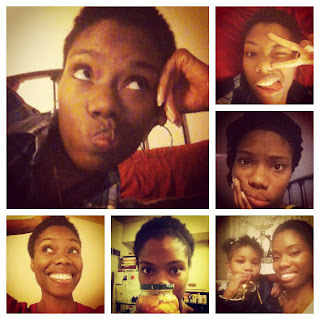 Take a daily picture of you. Find the positive in those pictures. You may want take on the challenge of doing this for the rest of 2013 like me, or you may just give yourself a month of you. Take all of February and devote it to you. Chose to do it during your birth month in honor of your time here on this Earth. Chose you. If you decide to post the pictures through a social media outlet, feel free to use the #DailyMe hashtag. Good Luck…and remember: you are beautiful. Will you join me in the challenge? Please leave a comment below so we can encourage each other!